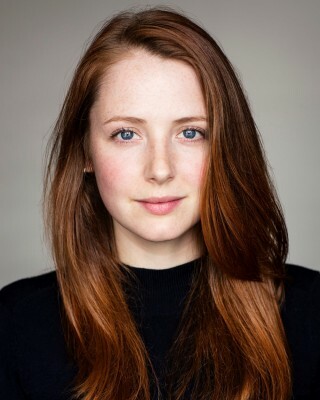 Róisín recently filmed the role of Mary Ann in Italian feature film VIVERE directed by Francesca Archibugi for Lotus Productions. Vivere will be released in cinemas across Italy 28th March 2019. She is probably best known for her appearances as series regular Niamh Reid in 82 episodes of Peter McKenna’s gritty Police drama RED ROCK. The Element Pictures production received the award for Best Television Drama Series/Serial/Soap in 2015, 2016 & 2018 at the Irish Film and Television Awards. Further screen appearances include GET UP AND GO directed by Brendan Grant for Fastnet Films, LOVE, ROSIE directed by Christian Ditter (Octagon Films), WAKING THE WITCH (Quincy Films), POSITIVE DISCRIMINATION (Zimmerhead Films), DO YOU (Naturehood Media) and THE TREE KEEPER (Southernman Films). Theatre work includes THE TEMPEST (Fortune’s Fool), HEARTBREAK HOUSE (Spoonlight) and STALLERHOF (Tragic Eyes).